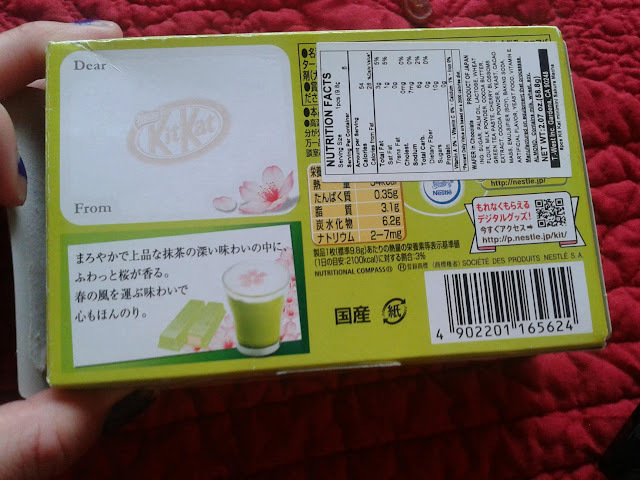 My review today is on another Japanese Kit Kat in a form of green tea flavoring. 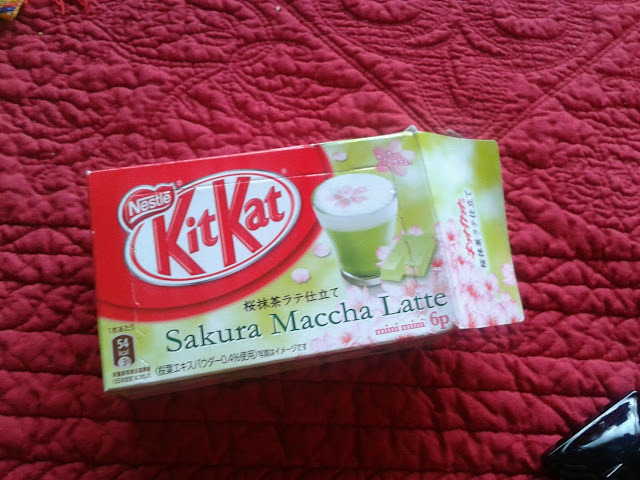 That would be their Sakura Maccha Latte flavoring from last spring. You can no longer find these anymore (sorry) but I found a stash I had kept and at least wanted to talk about it and compare it to the previous Kit Kat post. back of box, i love how there is the option to write 'To, and From"
The bar size itself is a little bit smaller than the Kit Kats that come in the 12pc to 13 pc bags. 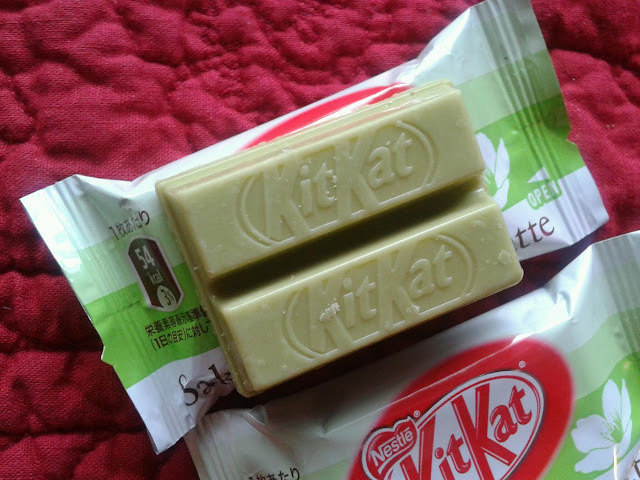 inside of the kit kat. 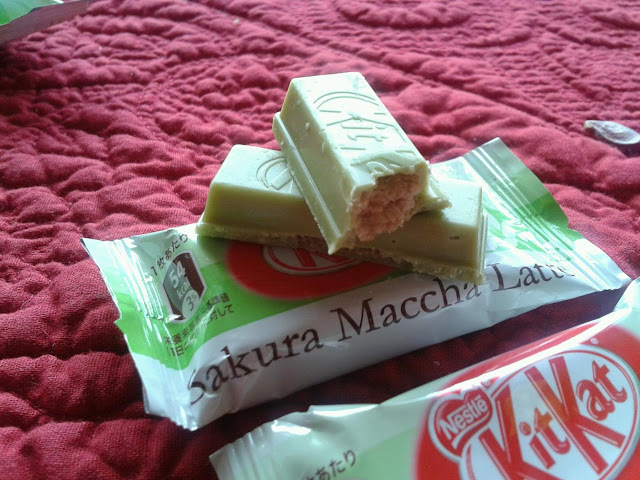 I would have to say that this Kit Kat is a little sweeter than the regular green tea kit kat. 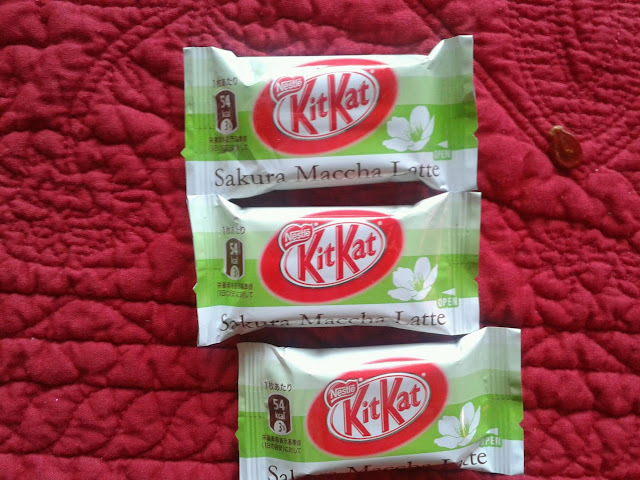 It also has a milkier taste (hence the latte part) and the green tea flavoring is very very subtle. However, these were a favorite for many people when they were in stock and probably why they went off the shelves so fast. I'm sure they'd make another type of special/seasonal green tea flavor for this spring, but if you somehow find these ones still, then you'd be very lucky and you should definitely pick it up!